Son of Joxer and the Riddle of the Sphinx! Shocked and appalled that Son of Joxer was able to best both the Minotaur and his maze, King Minus decides its time for Joxer to be sent on an impossible quest, the type of adventure that offers absolutely no chance of survival. So the King calls upon his wise men, seers, and various other oracles to provide Joxer with an appropriately unreasonable task. The Oracle of Delphi politely suggests that the Third Labour should be a trip down the Nile river to answer the Riddle of the Sphinx. 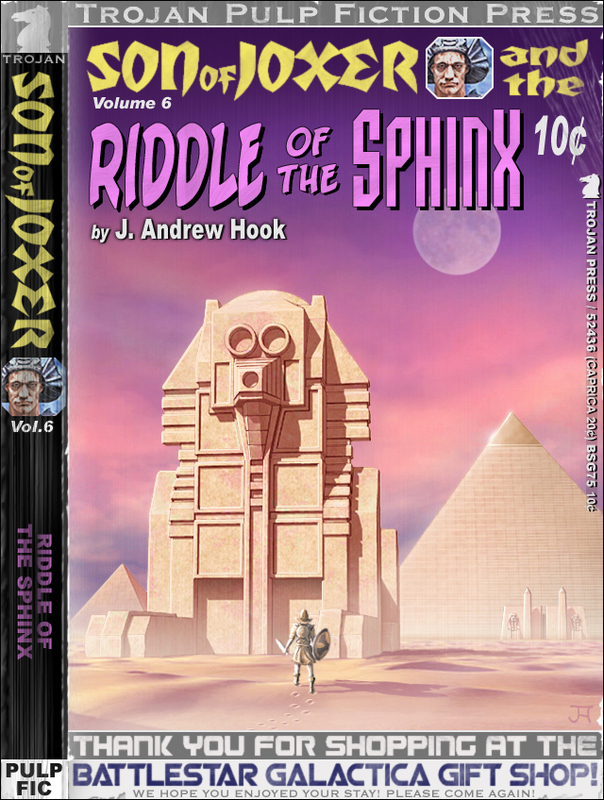 At first Joxer is unenthused about trading riddles with a giant statue until he hears tale that anyone who answers the Sphinx falsely must forfeit their own soul. Still determined to put an end to his curse of immortality, Joxer immediately sets sail for the land of the pharaohs to meet his supposed doom. He is greeted with a heros welcome at the court of Mycerinus, Pharaoh of all Egypt. Word of Joxers heroic deeds have already spread throughout the Seven Seas, but the god-king Mycerinus is heartbroken when he hears of Joxers seemingly impossible quest, fearing that the Third Labour will be his final undoing. Not realizing that Joxer sincerely hopes his encounter with the Sphinx will prove fatal, Mycerinus tries to tempt Joxer with promises of wine and women to deter him from his fate. Unmoved by temptations of the flesh, Son of Joxer insists on a battle of wits against the Sphinx, and will accept nothing less than the penalty of death should he fail. Upon seeing the mighty Sphinx for the first time however, Joxer is disappointed to learn that the profane monument was built long before the pharaohs came to occupy the Nile river delta, and that the Sphinx is in fact a mere relic from earlier Atlantian times. Most of the Sphinxs riddles are unfinished Atlantian nursery rhymes to which mortal men have long since forgotten the final verses. 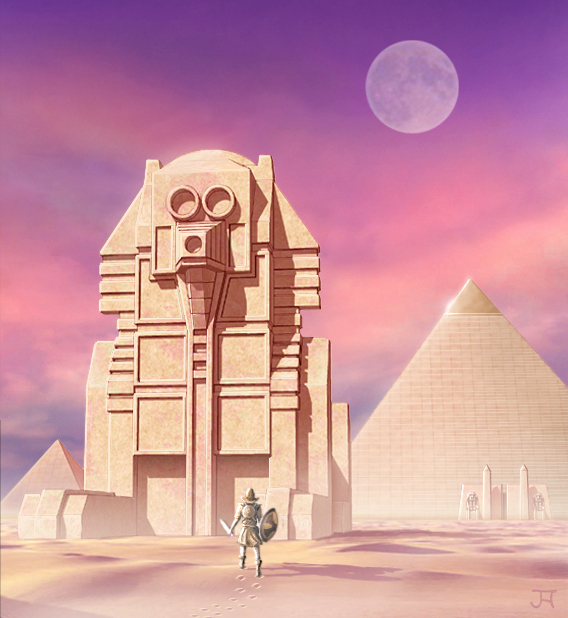 Son of Joxer, last of the Atlantians, easily exhausts the Sphinxs bag of rhetorical tricks until the Sphinx finally yields and promises to tell Joxer the one secret he most desires to know. camel caravan on the far side of the pyramids and cannot be seen.